Bouquet by Numbers is a ten page film adaptation based on the short story by Lane Thibodeaux. Mr. Thibodeaux's short story was named winner of the 2012 Texas Bar Journal Short Story Fiction Writing Contest and published in the June 2012 issue. 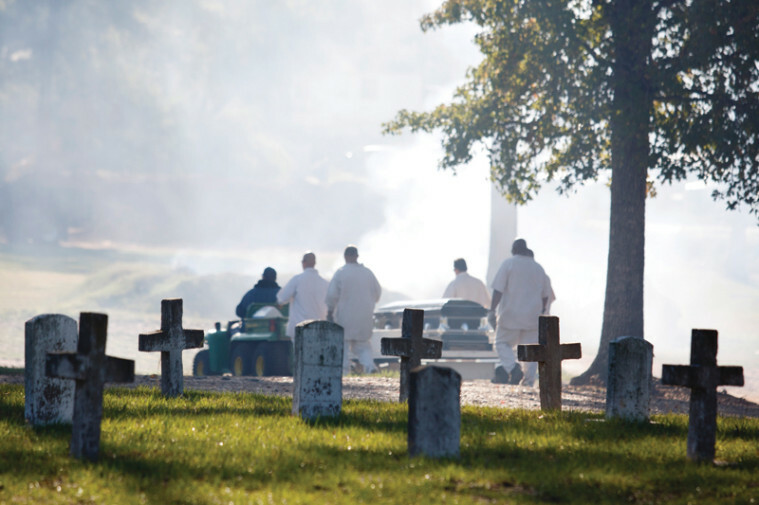 The film is set at Captain Joe Byrd cemetery in Huntsville Texas. Another of his short stories, Llano Estacado was published in the short story anthology Award Winning Tales in March of 2011. The anthology is available for purchase in both paperback and Kindle format from Amazon.com. Reynolds Washam (Lawyer) and David Christopher (Husband) have a graveside conversation. Bouquet is a film about what happens long after a crime. It's about the long term aftermath of hardship and loss. Special thanks to our principal roles of Reynolds Washam, David Christopher, Damon Wallace, and Erin Bergerson. Principle photography was completed June 7, 2016 and the project now heads to post production. ​Special Thanks to our executive producer Lane Thibodeaux and our crew. Veteran film maker and award winning music video editor / special effects guru. He also writes these blurbs and feels like its awkward describing himself and his accolades in the third person. Houston based film slayer and director - Orlando was hand picked by Donny to help bring this vision to life.